I have a thing for pillows made of African Mudcloth, especially ones as gorgeous as these, all handprinted and handmade from 100% cotton. And these baskets...I know I must share more. 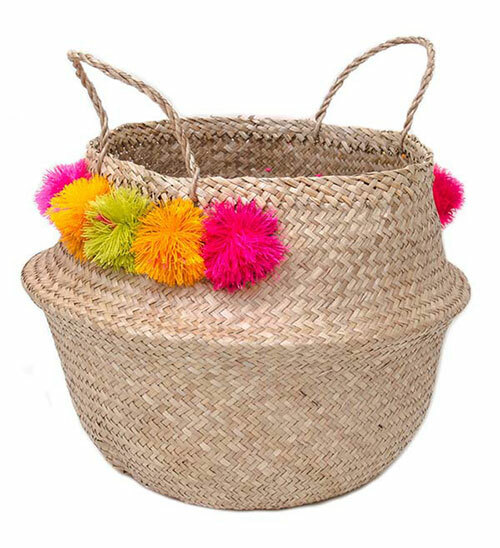 The top one featured in this post was handmade in Vietnam, this one in Morocco- but the playful pompom detail is thanks to California based artist, Eliza Gran. (whose Instagram account is worth a follow) To peruse the entire Saint Cloud shop, which includes well curated jewelry, handbags and stationery, click here.